School's out for summer and children get more opportunities to explore and learn something new. From travelling, camps, events and shows there are lots of things to do during summer time. 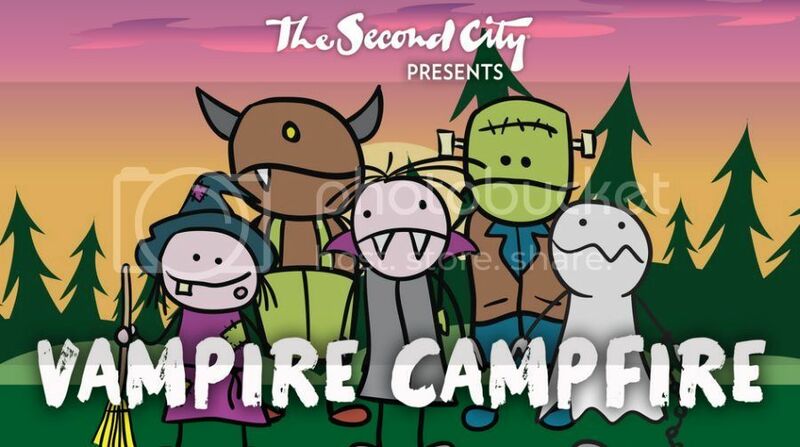 Last week we had an opportunity to see The Second City Vampire Campfire show in Toronto. It turned out we attended the show exactly after spending a week at the cottage where we had a campfire almost every day. 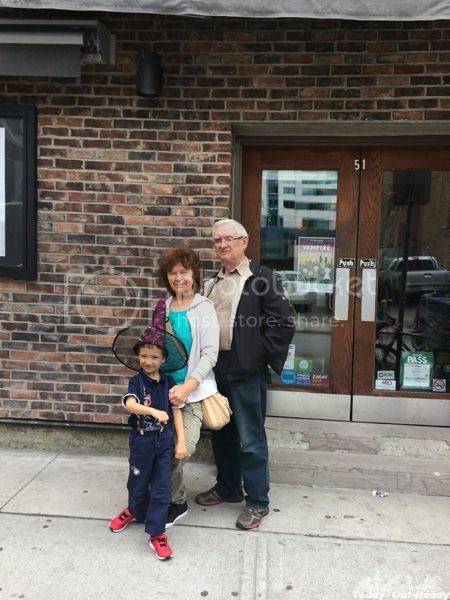 Teddy and our grandparents were excited to see the live show. I can tell you that Vampire Campfire is interesting and fun; nothing can beat interactive live performance with catchy songs and dances. Even the music you hear mostly played by a pianist with some additional sound effects. The story of Vampire Campfire is about five monster families which decide to send their children to a remedial camp where their kids can finally become real monsters. Children are given assignments (it seems I sound like a school but not that much) to engage into activities. But the training goes far beyond the regular camp time, when the industrial villain decides to cut all the trees including the ones at the camp and make the entire world flat. It is time to take some monstrous transformations, use the skills and show everyone who the real monsters are. 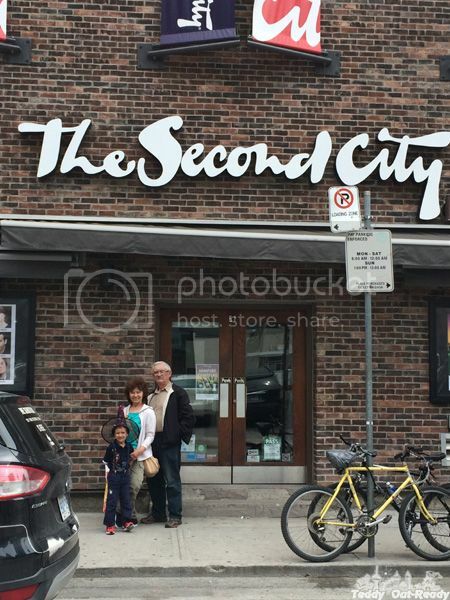 The Second City theatre is very cozy inside and has a good sound. We like how interactive the show is, there is never been a single boring moment. Lots of kids were at the show we attended and they actively aired some interesting phrases and commented to support the performance. You can also hear some Toronto related jokes, what a comedy show without that! 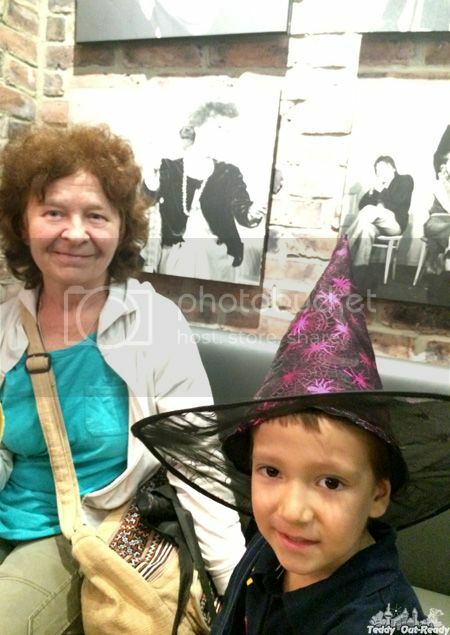 Overall, Vampire Campfire is a fantastic show to see for the whole family; you will get the real taste of the live comedy performance and enjoy it to the fullest. The show takes place on Wednesday and Thursdays at 1:00pm at 51 Mercer Street in Toronto. 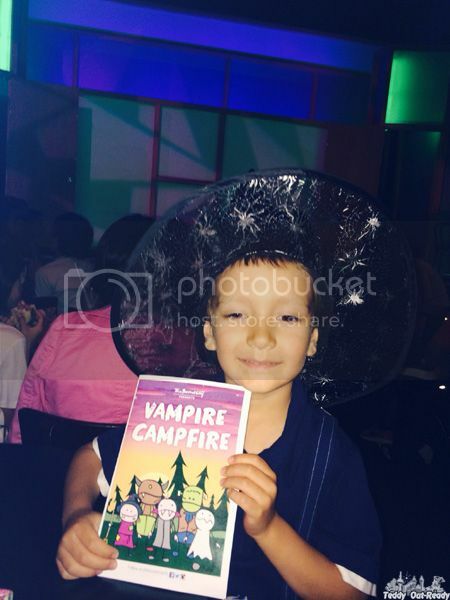 Vampire Campfire is recommended for families with kids ages 4 - 13 and lasts until September 3rd. Tickets are $14 and family 4-packs are $45.